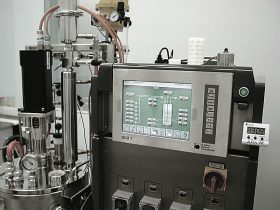 The company was set up in 2001 by several Russian biotechnologists and businessmen. The initial task of the management team was to build up a biotechnological manufacturing company with a portfolio of biosimilar products, APIs and finished medicinal products on their basis. Further strategy consisted in shifting to production of innovative products based on the gained experience of development and manufacturing. PHARMAPARK’s first commercial product – the API of Interferon alfa-2b – was approved for medical use and launched in the Russian market in 2005. Currently PHARMAPARK is the largest Russian manufacturer of the API of Interferon alfa-2b selling in the domestic market and abroad. The next products equally important for the pharmaceutical industry were the APIs of Epoetin beta and Filgrastim, as well as injectable final formulations under trademarks Altevir®, Epostim® and Granogen®. Over recent years, the company’s has focused its portfolio expansion efforts on the development of prolonged-effect recombinant products; the first of them – PegAltevir® – has already been approved in Russia. PHARMAPARK has also started pilot production of monoclonal antibodies and is developing its own original drugs. New products are at various stages of development, registration and launch. 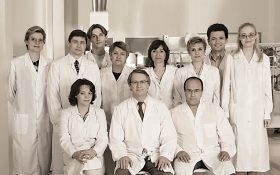 Commercially successful products, vast experience, the corporate QC and QA system, expertise of the team and PHARMAPARK’s reputation in the industry place it among the best biotechnological companies in Russia and CIS.